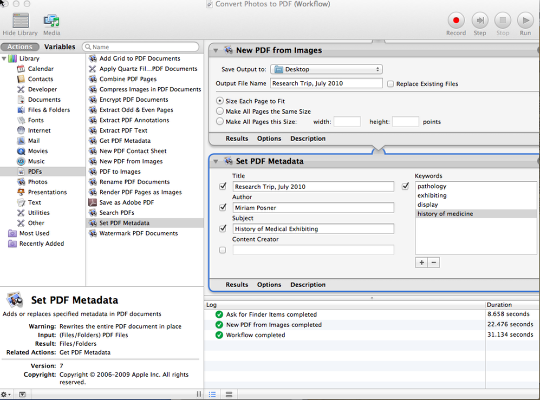 This is a very useful Automator script, but I am finding that the size of the resulting image-based PDF file is rather big. 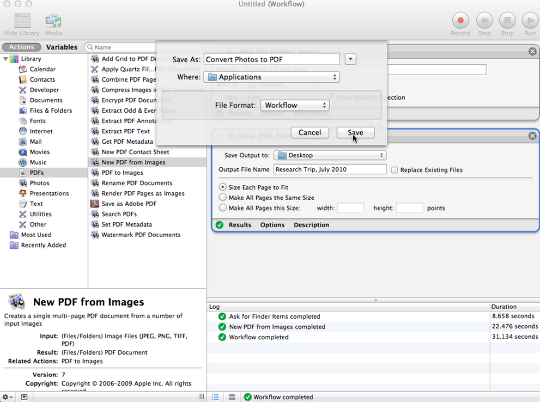 It is interesting that the size of all my page images combined is 254 MB, but the resulting PDF file is 360 MB. My PDF is much larger than the sum of its parts, and I am not entirely sure why. 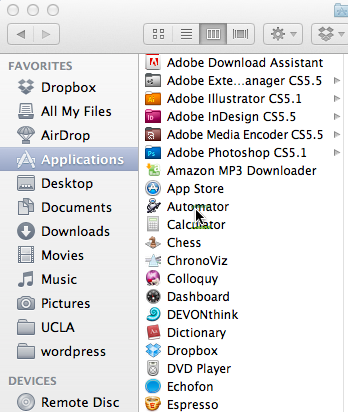 I wonder what effective ways exist of compressing PDF files? The “Quartz” filters in Preview do not do a very good job. Why i cant select select all the photos in a folder ? only can choose one . @ jerry ho, make sure ‘Allow Multiple Selections’ is checked. I’ve wasted money on two worthless apps and probably 3 hours of time on countless blogs trying to figure out how to do this. You rock! 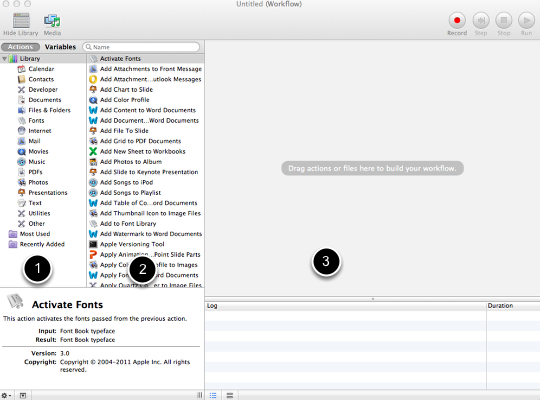 Automator works better then I thought! Thanks Miriam! It is a shame however that you have to use IOS to use it. 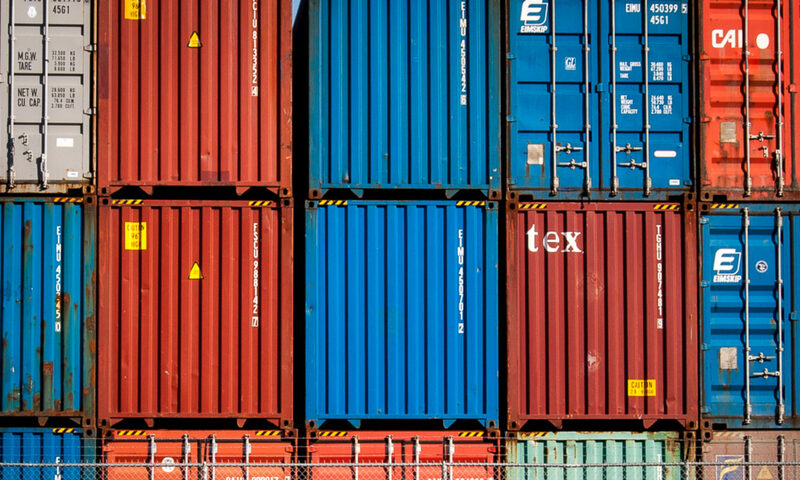 If you switch computers a lot (work and private) it could be more useful to use an online converter for this. 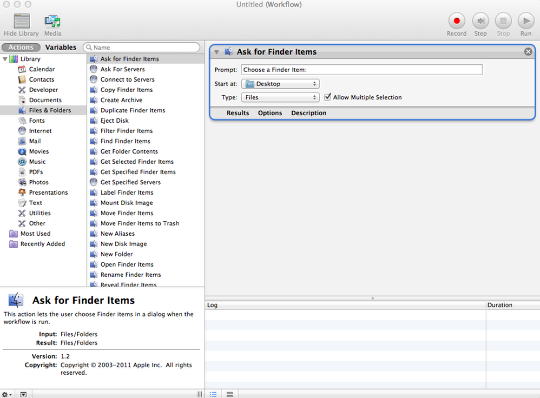 If I can, I use Automator. If i can’t, I switch to http://www.pdfen.net. 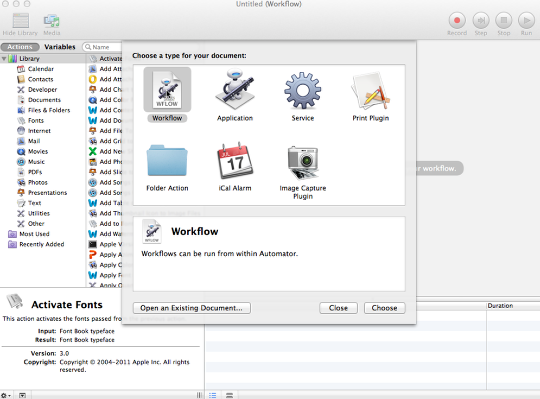 It is free as well and, just like Automator, very easy to use. 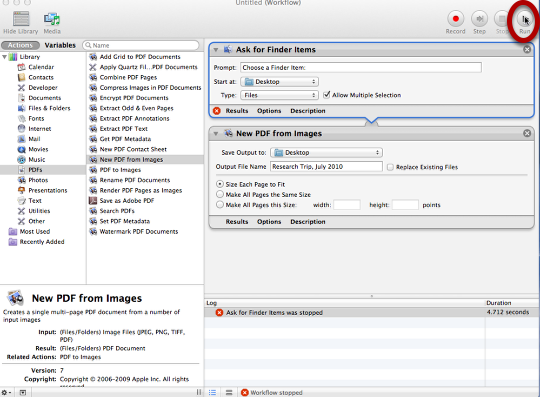 @Kenny Cargill: I am having the same experience: Automator’s “New PDF from Images” function often creates PDFs up to 5 times the collective file size of the original jpegs. 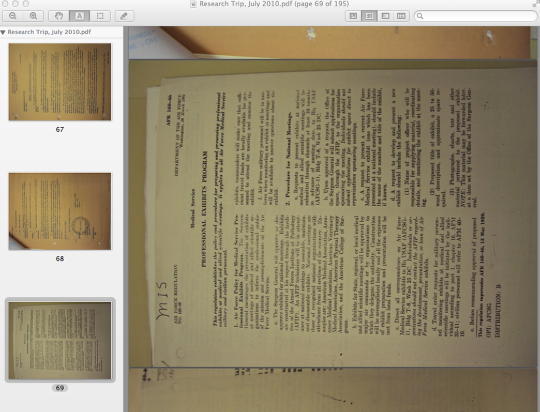 On the other hand, when I combine a folder full of jpegs into a PDF in Acrobat, the resulting PDF is the same size as the originals. 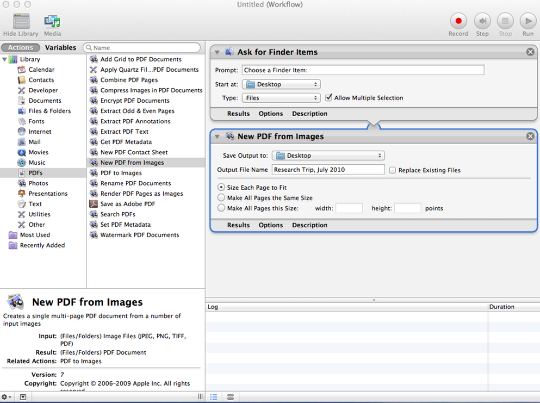 Anyone have any ideas why Automator creates such large PDFs? Is there a way around this? Next PostNext What are some challenges to doing DH in the library?